Medicaid Expansion: No movement in negotiations thus far. Chambers of Commerce, hospitals, doctors, and many other groups have not wavered in their support of providing of providing healthcare access to those in need. Virginia, hospitals, and businesses would all save through this expansion. I will keep doing my part to spread the word; please do the same. Tuition Assistance: The House struck down a recommendation from the Governor to amend HB 133 to increase the Two-Year College Transfer Grant from $8,000 to $12,000. I supported this increase to help curb student debt. Health Insurance Renewal: The Speaker rejected an amendment from the Governor to HB 1005, which would help Virginians keep their old insurance policy due to changes from the Affordable Care Act. I would have voted for it to ensure people have access to health insurance. Short-Term Compensation: SB 110 helps employers and employees avoid some of the consequences of layoffs. The Governor’s amendment to eliminate a sunset provision on the bill would allow for Virginia to qualify for additional federal funds to help with unemployment. While I supported that amendment, the House voted to reject it. Student Mental Health: The Governor’s amendments to SB 239 were accepted, which require a Violence and Prevention Committee on each public campus. Fair Redistricting: Please be sure to visit One Virginia 2021 and help Virginia push for a redistricting process that is non-partisan. Legislators should be doing what is best for all of Virginia, not just the far left and far right! 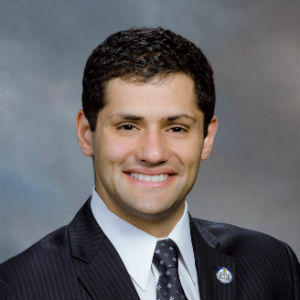 Sam RAsoul represents the 11th House District in the Virginia House of Delegates.